As just the two men you see here create something scary enough together, I couldn’t bear to morph Anderson Cooper into this picture combining Magic Johnson and Donald Sterling. Believe me, I thought about it. At first blush, writing about the media melee that’s broken out ever since Los Angeles Clippers owner Donald Sterling was revealed to be such a nasty little man might seem out of place here, but that “media melee” brings the idea into focus. As a society we’re spending a tremendous amount of time talking about Donald Sterling, and while he seemed to be a racist of the worst kind from the get-go, the interview Donald Sterling sat for this week with CNN’s Anderson Cooper made it all much, much worse. The “it” I’m talking about isn’t just a matter of what Donald Sterling looks and sounds like. Mr. Sterling did somehow make himself seem even more of a monster than so many of us already thought him to be by questioning Magic Johnson’s charitable, philanthropic, and community outreach efforts, and with Mr. Cooper’s homosexuality very much a public matter made himself look equally self-absorbed asking about the girls Anderson Cooper dates. So let me be clear: Donald Sterling is about as icky as anyone this side of Adolf Hitler gets and I look forward to the day that the NBA is rid of him. But mostly I’m examining this from the aforementioned media melee position and looking forward to Donald Sterling disappearing because the continued discourse discord by people interested in serving only their own agendas bothers me way more than whether Donald Sterling is a throwback racist or anyone else needs to care that he is. The most intelligent analysis of DonaldSterlingGate that I’ve heard came from Kareem Abdul Jabbar. The basketball legend, a man not exactly known for his tolerance—and, not just incidentally, a black man—pointed out that Donald Sterling has every right to be the kind of guy that neither the NBA nor anyone with a conscience would want hang around. That doesn’t suspend due process. It leaves lots of questions about the manner in which tapes of Mr. Sterling surfaced and whether they “should” be used by anyone in making decisions and taking legal actions against him. Abdul Jabbar made no excuses for Donald Sterling, but raised some very real, very important questions about what happens when we resort to mob mentality. Which is what CNN and the media are doing. Which would be scary if they didn’t have the powerful CNN pulpit. Which ignores what matters in society, in media (social media and otherwise) and in business. You need to be honest, open, and as transparent as possible. Quick-fix solutions can happen using other tactics, but if you approach media looking for anything other than by trying to be real, genuine, and useful, you will … absolutely will … ultimately fail. Look back at Anderson Cooper, Donald Sterling, and what I’m going to lump together as the Magic Johnson/NBA faction. Yes, the NBA should want to rid itself of Donald Sterling, but not because he’s a heinous human being. Donald Sterling is a problem for the NBA because he speaks in a way that is so patently offensive—even more so to the 80% of NBA employees and many fans who also happen to be black than to others—that it will cause huge financial problems for the NBA if Sterling sticks around or if the NBA seems OK with Sterling sticking around. CNN has no interest in this mess other than generating more noise than they would without the Sterling/Johnson/NBA/racism story. None. At least, I hope they don’t, because CNN is supposed to be journalistically impartial; if the shocked opinions that Anderson Cooper’s brethren are expressing over and over in the face of Donald Sterling’s poorly conceived attempt to humanize himself are anything more than opinions of preening media celebrities CNN should stop pretending to be the Cable NEWS Network. Since they won’t be doing that, let’s assume that this too is about money. 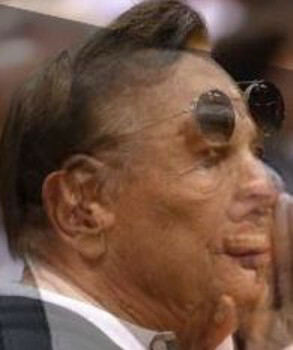 Donald Sterling is a billionaire, with a billionaire’s ego. That’s fine. Mr. Sterling doesn’t want anyone to dictate anything to him, least of all that he has to sell a really well-performing asset or pay the very large tax bill that selling that asset would generate for him. I’ll say it again: I hate this guy. But Donald Sterling being a jerk doesn’t mean he has less rights than anyone else. AND THAT’S ALL ABOUT MONEY, TOO. The faux-morally righteous folks are in this for the money. The slanted journalists siding with the righteous folks are in it for the money. And the jerk is in it for the money. And it’s OK to be in it for the money. The problem occurs when you pretend to have a different agenda than that and people can see it. Now, pivot to media. We recently launched Video Network One. In fact, one of our marketing taglines is Video Network One: More Videos, More Money. And let’s be transparent: I’m talking about more money for the video producers who partner with Video Network One and more money for us. There’s a third faction here, just as in the Donald Sterling/Magic Johnson/Anderson Cooper triumvirate, who will make less money. And they know who they are, and maybe you do, too, but I’m not going to call them out here. Have you noticed that Sterling, the NBA, and CNN are all pretending to be pure, but none of them actually are? Several years ago, I told a story about rotten customer service at Nissan of Manhattan. I’m a stickler for customer service; I’ve called out quite a few bad instances, such as this nightmare with Virgin America. We take customer services so seriously in these parts that we created The Answer Guy’s Verizon Wireless Customer Service Wall of Shame. And while the folks at Koeppel Nissan made me a new sales customer last year by performing great customer service, I don’t love their car service department and have found that the folks at Nissan World in Denville New Jersey get that part of the equation right. Yesterday, I engaged the sales folks there because there’s a small problem in the vehicle Koeppel sold me seven months ago that’s driving me crazy enough to make me want to replace the car. Bad move. Koeppel Nissan: sales stars. Nissan World of Denville: service wizards. Lesson learned. I’ll be telling you more about this issue next time, and yes, it relates back to the whole “be honest about your intentions” thing that Donald Sterling, the NBA, and CNN are all getting wrong—and that you as budding media star and Influency wizard must get a handle on. And the business issue is your ability to tell the difference between people’s positions, because they probably won’t point them out for you—at least not openly. Absent that honesty Donald Sterling, Magic Johnson, and Anderson Cooper are pretty much the same person.